What is it like to be a kid growing up in Michigan right now? 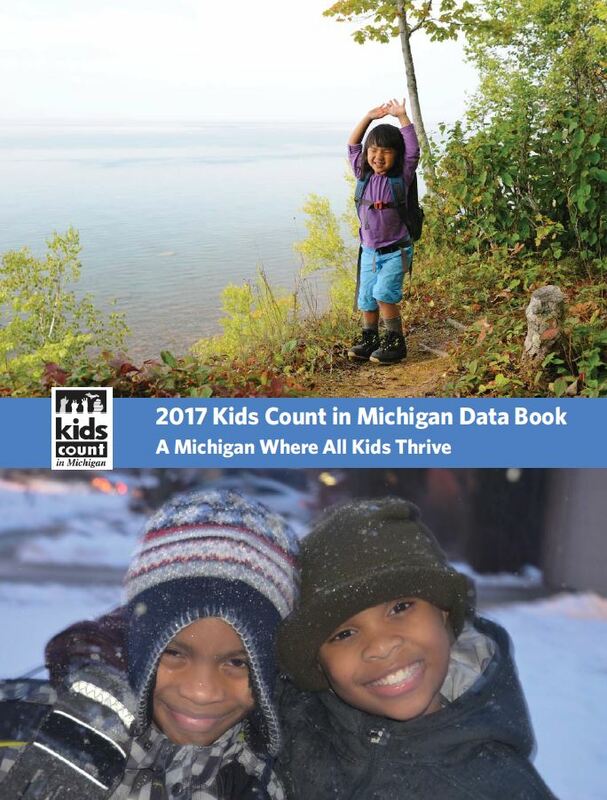 Yesterday The Michigan League for Public Policy released the 2017 Kids Count in Michigan Data Book  to find out. The book examines 15 indicators of child well-being to see how children are doing around the state. While there have been improvements in several areas since 2008/2009, Michigan has consistently ranked in the bottom half of states in the national KIDS COUNT rankings and there are significant disparities in outcomes by race, ethnicity, place and income. Child poverty continues to be a major problem facing Michigan kids. More than 1 in 5 (22%) Michigan children lived in poverty in 2015, a 15% rate increase since 2008. Poverty rates are significantly worse for kids of color, with 47% of African-American kids and 30% of Latino kids living in poverty compared to 15% for White kids in 2015. Nearly 28% of children in rural counties live in poverty, 24% in midsize counties and 22% in urban counties, although poverty increased at the highest rate for urban areas. Nearly 17% of Michigan children live in high-poverty neighborhoods—but the rate is 55% for African-American kids and 29% for Latino children.